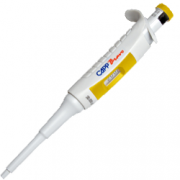 Pipette.com has extended their Buy 1 Get 1 Free on CAPP Bravo single channel pipettes until September 2013. Already offering over 20 different brands of liquid handling products at the best pricing, Pipette.com has extended their summer promotions for those looking for single, multichannel, electronic, and/or manual pipettes. Pipettes are primarily utilized by the life science community as well as technicians doing liquid handling analysis. Eppendorf Research® plus and Repeater® plus Starter Packs as well as electronic pipettes are at a special price until the end of the year. Labnet Starter Kits, which are a great alternative to Gilson and VWR pipettes, are also available under special pricing until the end of the year. Sartorius Biohit eLine® and Picus electronic pipettes special pricing is good until the end of September, with single channel starting at $499 (for the eLine®). With 17 years of delivering exceptional products and service, Pipette.com continues to provide customers with the best pricing on top-quality liquid handling products, calibration, and pipette repair. They are liquid handling experts that provide solutions which streamline lab work, making it more efficient and worry-free. With their experience and product knowledge, Pipette.com is able to identify the best products for any lab experiment(s) and lab technician’s needs within their set budget. With these pipette promotions, new to midsize labs will be able to alleviate the sequestration pressure so that they may keep growing and expanding. With their experience and product knowledge, Pipette.com is able to identify the best products for any lab experiment(s) and lab technician’s needs within their set budget. Take advantage of these money-saving promotions by visiting http://pipette.com/pipettes and ordering your pipettes, today! To schedule a demo of a specific pipette, call 800-243-3232 or email us at info(at)accuteklab(dot)com. Questions, concerns and other inquiries can be addressed to the company directly.